Oswego – Back by popular demand, a magical journey will once again take place this Christmas for students of all ages in the Oswego City School District. 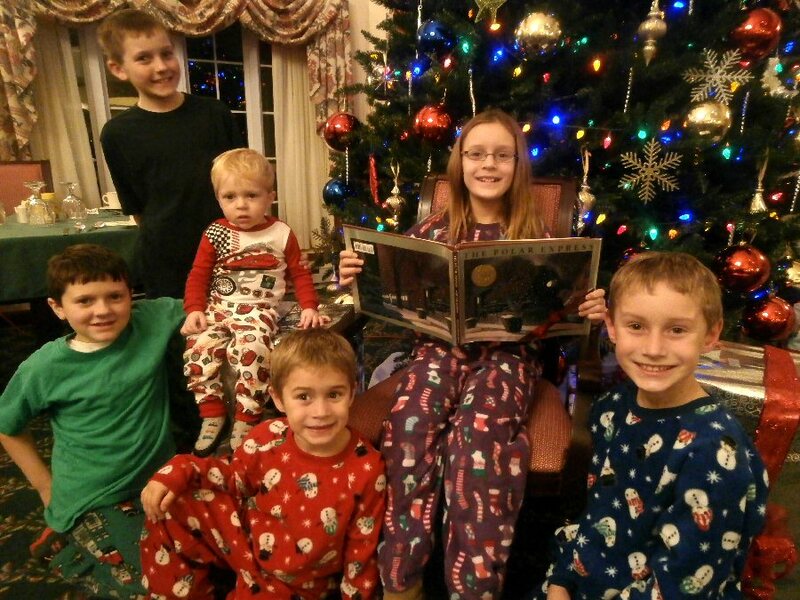 Children and their parents are invited to take a break from the hustle and bustle of the Christmas season and sport their fleece and flannel PJs for the fifth annual Polar Express Pajama Party. Pictured in back row: Jake Chetney, Nate Chetney and Julia Roman. Front are Alex Chetney, Lou Roman, and Neil Roman. The event will take place at Oswego High School on Dec. 20, from 5:30 to 8:30 p.m. Inspired by the award-winning book by Chris Van Allsburg, the evening will begin in the OHS cafeteria with a visit from Santa, crafts, a book reading and face painting. Pizza slices and bottled water will be available for $1 each. At 7 p.m., the fun continues with a showing of the original movie The Polar Express in the OHS Ralph Faust Theater. Tickets are $3 per person and are available at the River’s End Bookstore. Limited tickets will be sold at the door for $5 each. The event is sponsored by the Kingsford Park Home and School Association to benefit the KPS Scholarship Program.